A mounting line or assembly line is a set of specialized workstations arranged in a pre-established order corresponding to the sequence of assembly operations of the components of a product. 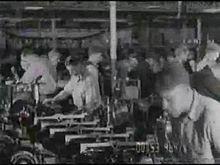 An assembly line is generally characterized by the use of a mechanized conveyor which transports the product being assembled from one station to another. 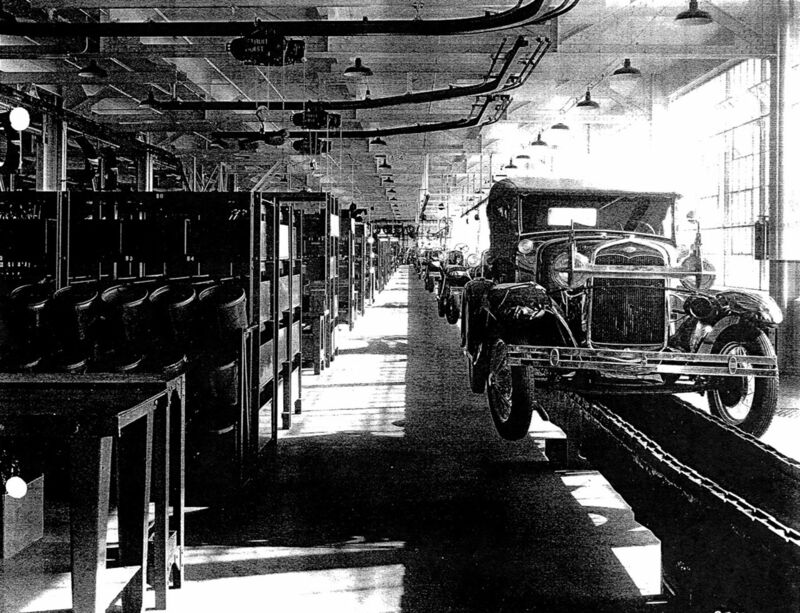 It is the conveyor chains that gave it the name of "assembly line" and dedicated the expression "line work". In the vast majority of today's assembly lines, robots have replaced the workers. Some tasks still have to be done by hand. This technique was imagined by Louis Renault in 1898 and implemented by Henry Ford in 1913 from the chainwork model developed in the slaughterhouses of Chicago. It is representative of Fordism and is one of the applications of the division of labor. By adopting this device, it is no longer the workers who move, but the parts themselves; this leads to a reduction in idle time. A scientific organization of the work, facilitated by the reduction of the number of operations carried out on each station, makes it possible to reduce the operating time by post, thus to increase the rate, which allows the chain; it is therefore she who imposes her work rate on the workers. 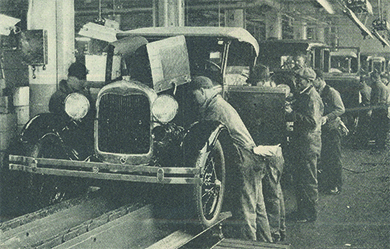 The first assembly line appeared in 1913 in Highland Park, Michigan. Made for the production of the first affordable car, the Ford T model. Several models were manufactured including the Touring, the Roadster, the Center Door, the Coupe, the Mountain Wagon, and the Speedster. Thanks to this innovation, the construction time of the Ford "T" is considerably reduced: it goes from 12 hours to 1h30. The productivity of the plant is multiplied by 4. The assembly lines are characterized by the degree of automation of the lines and the number and the delay of the posts. On a line that is not very automated, the transfer of parts can be done on a simple roller conveyor, by manual release of the part after action, while on a highly automated line, the transfer is timed and set. At each station, a robot, one or more workers make a list of specific tasks. The workstation is suitable for these tasks, as well as documented by a range of assembly. A success criterion for an assembly line is the balancing of items. The actions carried out at each position must be done within a time period that is close to or identical to the other positions. These balances are done by chrono-analysis or by calculation (see the methods desk for the list of time calculation solutions).